One of the best things about Thanksgiving is that it prompts us to look to the bright side and count our blessings. Aside from my familial blessings, the thing I’m most thankful for is the turnaround in Fresno’s economic trajectory. The city’s unemployment rate in October was 5.3%. Ten years ago, at Thanksgiving, it was 18.6 percent, according to the state Employment Development Department. 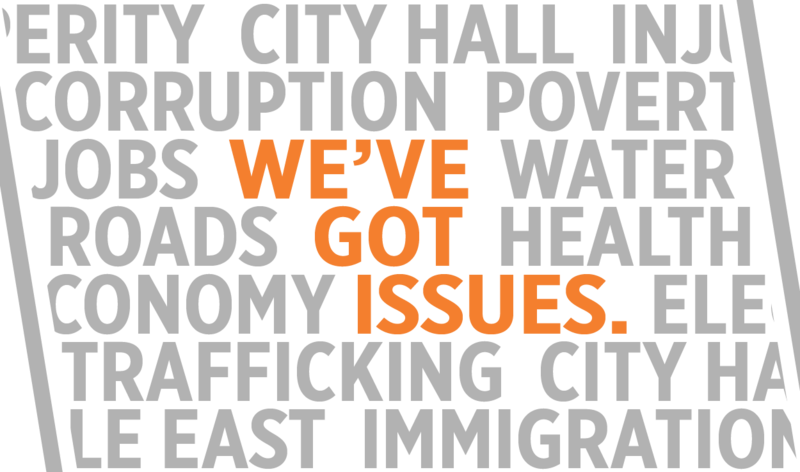 That meant nearly 1 in 5 members of the city’s workforce was looking for work. Two years into the Great Recession, people were losing their jobs, the roof over their heads, and their cars. Retirement accounts were drained, bills piled up, and people scrambled to make it to tomorrow. We’re still a bit higher than the national unemployment average of 3.7% and California’s 4.1%. Still, we’ve made remarkable progress from the double-digit rate that for too long was the Fresno norm. In addition, Fresno is poised to have an even stronger economy in the years ahead — and to better withstand the inevitable recessions. It’s oft-said that what doesn’t break you makes you stronger. There’s truth to that, but it’s clear to me that challenges of the past have made Fresno smarter, too. 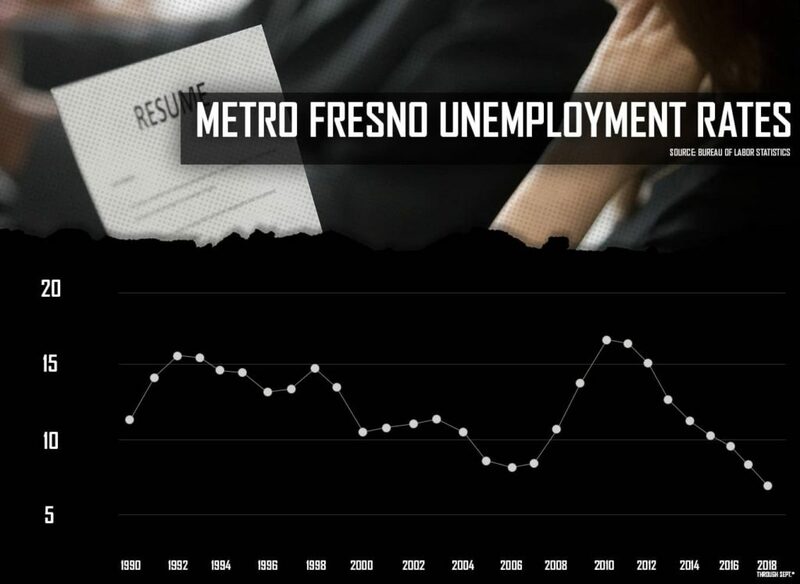 Unemployment rates for the metropolitan Fresno area compiled by the federal government. They are slightly higher than the city of Fresno’s rate, which is compiled by the state. Some people will disagree and say that Fresno is simply riding the current national wave of prosperity. So, yes, we are enjoying the fruits of a recovery led by the Obama administration and enhanced by the Trump administration tax cuts. But Fresno and other Valley cities are making their own gains, too. In Fresno, we have a mayor in Lee Brand who is focused on putting people to work and setting the stage for them to move into jobs with better pay and benefits. Critics say the mayor’s incentives to land the Amazon fulfillment center and the Ulta distribution center were corporate welfare. But those two employers have hired more than 4,000 people. The welfare cycle in some families is ending. Other Fresnans are moving out of fast-food and convenience store employment into jobs paying $15 an hour or more and providing benefits. Sometimes overlooked: When the demand for workers is strong, businesses must pay more to land the employees they want. “For us to get to 5 percent reflects Amazon and Ulta,” Brand says. “And more jobs are coming. We now are on the map for big employers looking to locate on the West Coast or specifically in California. To make Fresno more attractive to prospective suitors, Brand says the city will do a Specific Plan Environmental Impact Report for the “golden triangle” in south Fresno. That plan, if adopted, will set the rules for an industrial area encompassing about 2,000 acres and reduce the likelihood of lawsuits. “We want to make sure to be fair to the people who live there and see that the necessary mitigation is done,” the mayor said. But something much bigger than “job creation” is happening. 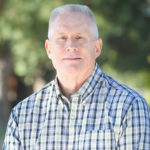 Finally, Fresno leaders have learned that it’s more important to attack the causes of a traditionally underperforming economy than to attempt, with little success, to treat the symptoms. 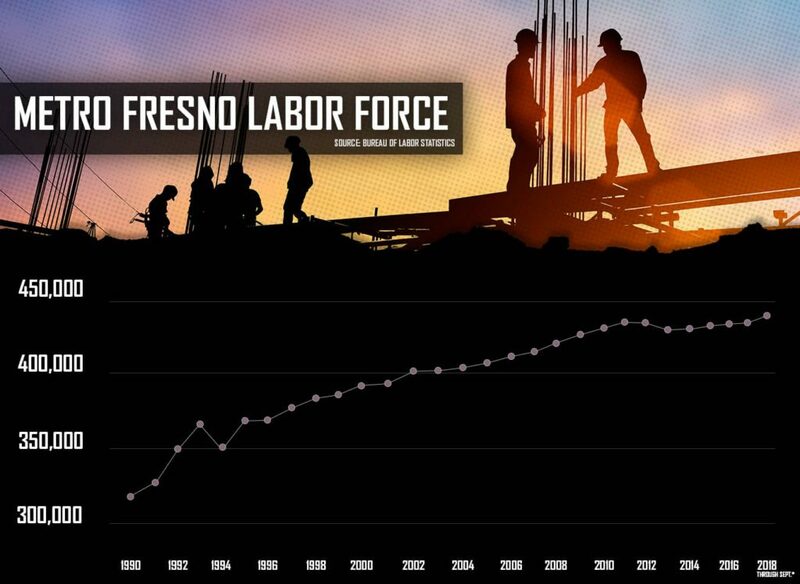 Fresno’s much-chronicled long-term high unemployment reflected the quality of its workforce. All the incentives in the world won’t diversify the local economy or lead to more middle-class and upper-middle-class jobs. The workforce must have the necessary skills to attract and, ultimately, allow high-paying ventures the opportunity to thrive. Thankfully, this fact is being embraced in the Valley and there’s a new emphasis on education at all levels. First-generation college students are graduating from Fresno State, UC Merced, and Fresno Pacific, many of them staying home and successfully matriculating into the workforce. The College of Pharmacy at California Health Sciences University in Clovis graduated its first class of 62 students last May. Many of them, too, are sticking around and helping alleviate the Valley’s shortage of pharmacists. State Center Community College District is partnering in innovative ways with local school districts on curriculum and training, enabling young people to more quickly realize both their immediate goals and their dreams. 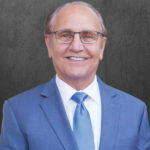 The Bitwise campus downtown has called attention to the importance of digital technology to Fresno’s economic future and yielded a torrent of talented workers. And, after years of bickering and defending their respective turfs, the city and county together are tackling the difficult challenge of reducing homelessness. Fresno isn’t perfect. We’ve got a ways to go in improving our unhealthy air quality, building badly needed parks accessible to all, and making neighborhoods safer. But we’ve come a long way. The city’s unemployment rate, according to the EDD, has ranged in 2018 from a record low of 5.1% to a high of 6.4%. And we’ve had single-digit unemployment every month since December 2016. On this Thanksgiving, that’s something to count among our blessings. Beware Shopping Center Thieves. Santa’s Watching. Police Are Too.